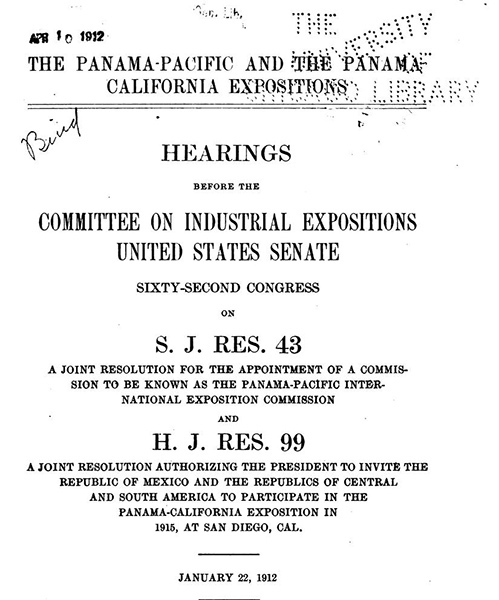 Description: The Panama-Pacific and the Panama-California expositions : hearings before the Committee on Industrial Expositions, United States Senate, Sixty-second Congress on S. J. Res. 43 a joint resolution for the appointment of a commission to be known as the Panama-Pacific International Exposition Commission. D.C. Collier statement pages 10-20.